How do we feel about the launch of Howard Smith Wharves? Excited is an understatement. We’re pretty much at a Muriel’s Wedding status of infatuated, and in the words of ABBA; Gimme! Gimme! Gimme! (A foodie precinct like no other). Now, the riverside restaurant hub has opened its first venue to the public, and it’s so good it’s criminal. 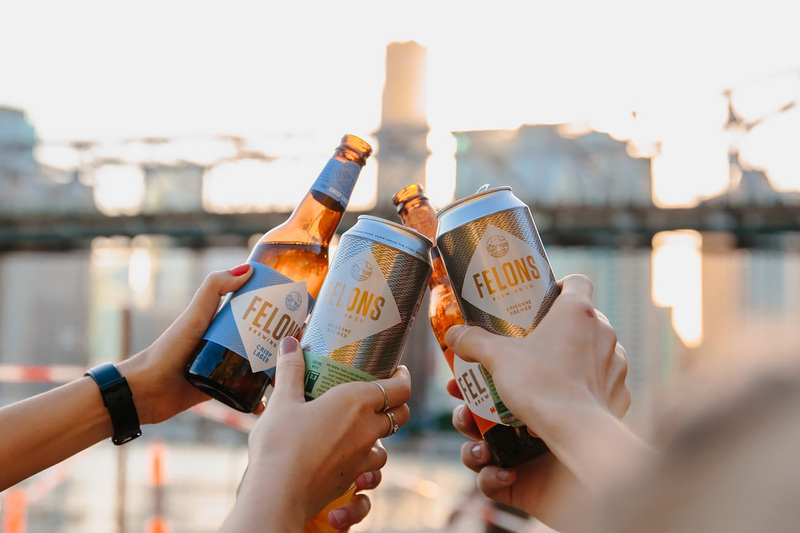 Felons Brewing Co. is the wholesale and retail brewery of your dreams, run by a team of passionate experts set on reigniting the city’s former port. Named after the first settlers to discover the Brisbane River, Felons carries the same spirit of discovery, fearlessness and freedom in their brewing, sharing their passion with locals and tourists alike. Bring your beer-loving buds down to the riverside for an afternoon of top-quality brews, made fresh onsite. Better yet, grab a blanket and enjoy your beer along with a parcel of fish and chips on the grass. That’s right; as well as a top-notch selection of brews, you can expect an equally amazing menu of food, with everything from woodfired pizza and burgers to healthy bowls, fresh seafood, and desserts. With tasty bites, refreshing ciders and beers, and a whole lot of cultural events to come, Felons Brewing Co. is sure to become your local fave. - the gourmand who doesn’t mind a good brew, especially if it comes with food.